Join early childhood gymnastics teachers as your baby crawls and toddles, rolls and stretches in made-to-order exercises for babies. 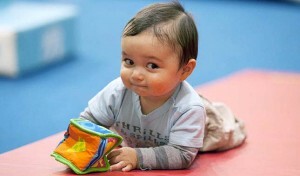 Listen to them giggle as they crawl after a ball or bounce with you on the trampoline. 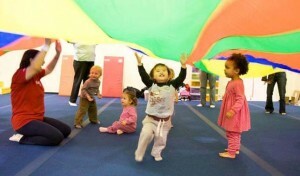 Movement helps babies learn balance, coordination, body awareness and rhythm. 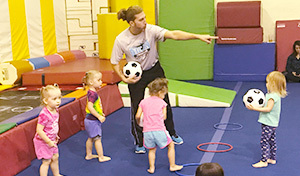 Gym for Tots builds motor planning, eye /hand coordination, foot/hand coordination, and social skills. 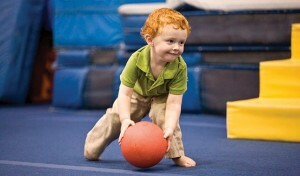 In our beautiful gym, your child will run, jump, swing, climb and soar with confidence. Taught entirely in Spanish, gimnasia en espaňol is a wonderful opportunity for Spanish speaking adultos y niños to mix language and movement in a gym glass taught by a fluent Spanish speaker. Fiddle Foxes music class is designed to inspire your child’s greatest creative instincts while instilling structure and fundamentals of music! You and your little dancer will enjoy movement, music and social interaction in this sweet class which introduces children to ballet and creative movement concepts. 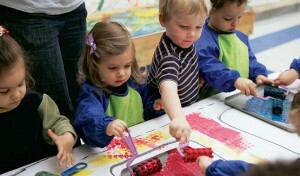 In this colorful class your child can explore the world of shape, color and texture and create freely in a studio where no mess is too big. From baseball, soccer, golf and basketball to silly, sack races, noodle hockey and balloon volleyball, we’ll teach you all the skills you need! You’re never too young to learn the most popular sport in the world. Soccer is not only entertaining, but an amazing tool to help nurture a child’s development. 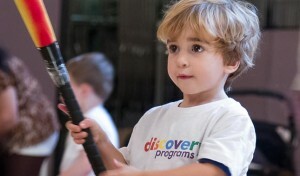 In this one of a kind and unique approach to your child’s education they will be exposed to the endless possibilities of movement and creative physical expression. With age appropriate games and activities they will be presented with weekly challenges exploring the fields of acrobatics to yoga, sports to parkour and dance. Our outstanding faculty will capture your child’s imagination using stories, music and games to present basic positions and movement skills. 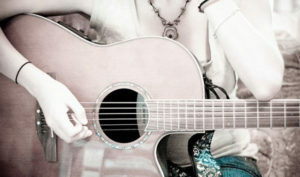 Creativity and self-expression through dance are encouraged. Facilitated discussion for new moms with babies, newborn – 1 year. Topics include: mom and baby wellness, breast feeding, bottle feeding, sleep issues, staying at home versus working outside the home, isolation, childcare, family life, self image and more. We recommend that babies be between the ages of 6 weeks and 8 months. Yoga mats will be provided, but you are more than welcome to bring your own. Baby social is a perfect way for new parents to meet other parents and to share stories and advice on raising little ones. Our gorgeous gym is open for free play for youngsters 6-48 months for children to enjoy. Run, Jump, tumble and play!